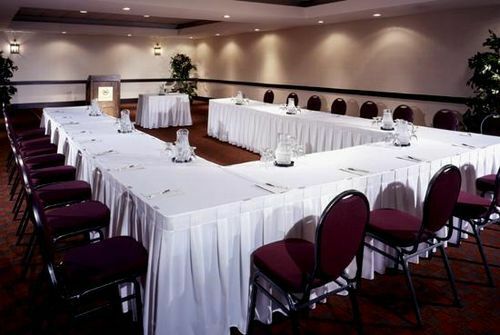 Sheraton Hamilton Hamilton, Hotel Canada. Limited Time Offer! 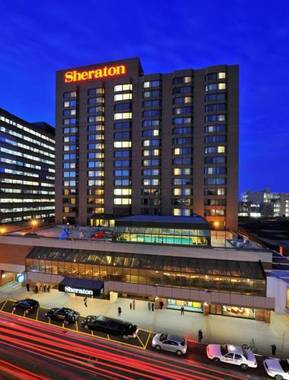 Sheraton Hamilton Hotel. 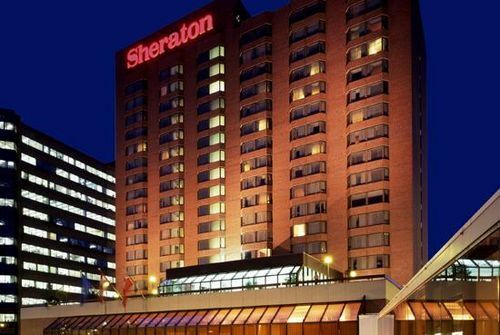 "Sheraton Hamilton Hotel" has received 3 stars. 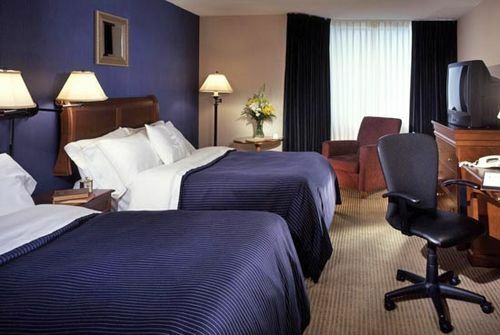 Aptly situated in the downtown area of Hamilton, this accommodation is an ideal base point from which guests can discover the neighbourhood. The property has recently benefited from a refurbishment. This hotel has a total of 301 rooms. 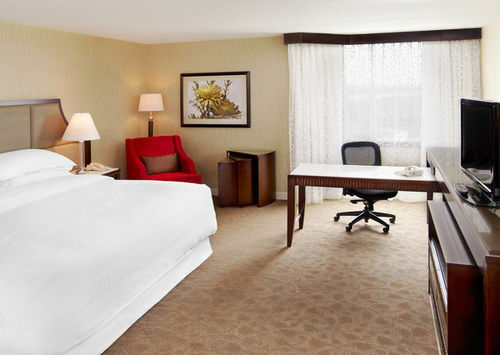 Thanks to the relieving air conditioning, the temperature is never too hot. The private garden is excellent for taking a short stroll. 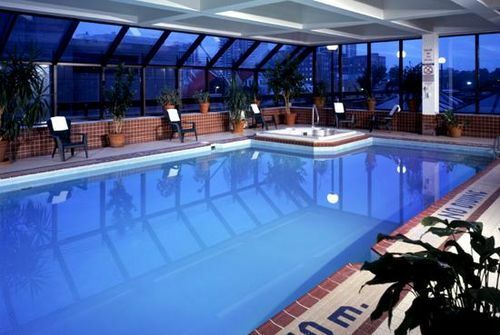 Don't forget to pack your swimwear as this residence features an indoor, covered pool. Birdwatching, mini-golf and fishing are some of the recreational activities that the residence offers. 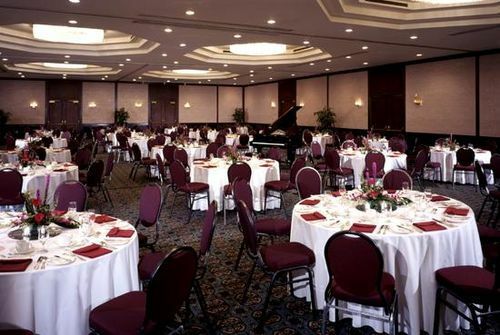 There are also many sporting activities offered, such as yoga, rafting, skiing, bowling, tennis, squash, ice skating, volleyball, cross-country skiing, alpine skiing, sailing, aerobics and golf. Furthermore, there is a gym, a running track, a golf course, motorboats and a walking trail. For your well-being, there is a jacuzzi available. 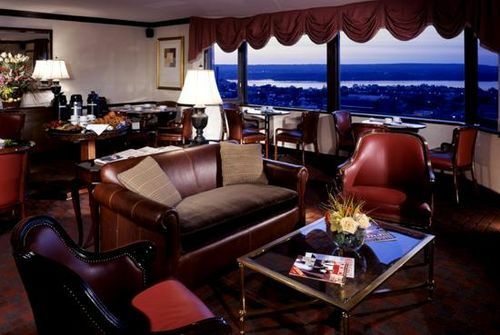 This residence has its own restaurant for your gustatory enjoyment. 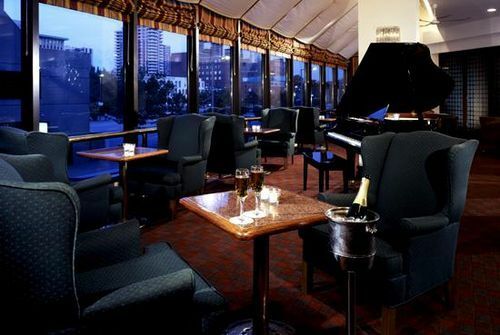 A lounge bar and a bar-restaurant are available for visitors to have a drink in the evening. After a good night's sleep, breakfast is available. Of course, staying in touch with the rest of the world is made possible by the Internet that is provided.